Trump Deals New Blow to Paris Climate Accord Ahead of ConferenceThe U.S. is sowing doubt about whether developed countries will compensate developing ones for the costs of adapting to climate change. Don’t Get Donald Trump Started About France“They were starting to learn German in Paris before the U.S. came along,” Trump said, on the anniversary of the 2015 Paris attacks. U.S. Reimposes Harsh Sanctions on Iran (to Europe’s Chagrin)Here’s how the world is reacting to the Trump administration’s latest attempt to cow Iran by destroying its economy. Bolton Warns Iran There ‘Will Be Hell to Pay’In a bellicose speech in New York on the same day as Trump’s unilateralist address to the U.N., Bolton expressed his hatred of diplomacy. International Make-Out Ambassadors Justin Bieber, Hailey Baldwin French in ItalyThe art of diplomacy. 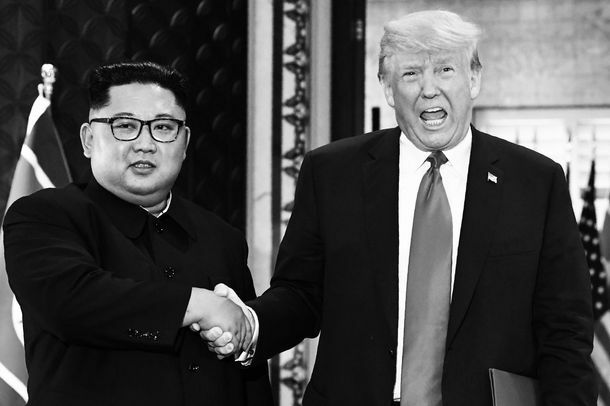 Trump Slowly Realizing It’s North Korea’s Reality Show, Not HisThe president is getting frustrated about North Korea’s continued obfuscation as his fake peace deal with Kim Jong-un falls apart. 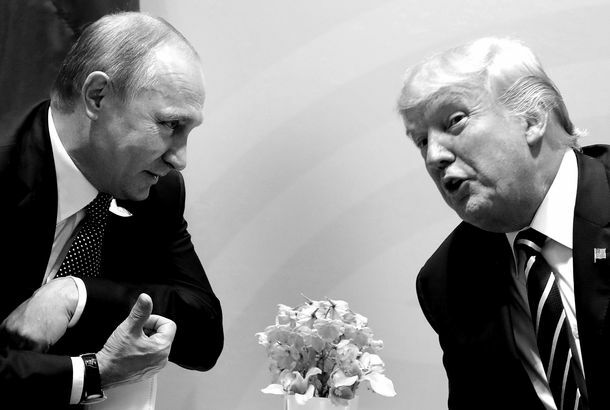 Trump Endorses Putin Proposal to Have Russian Operatives Work on Mueller ProbeAt his summit with Putin, Trump said that Mueller’s team should partner with the Kremlin to investigate Russian interference in the 2016 election. 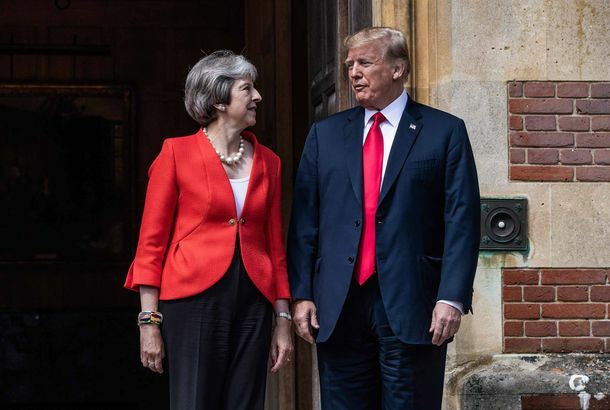 Trump Says the U.S. and U.K.’s Relationship Is the ‘Highest Level of Special’A true master of words, and international diplomacy. Trump Ends NATO Summit by Announcing Diplomatic Breakthrough That Did Not HappenTrump took “total credit” for convincing NATO nations to raise military spending to unprecedented heights. They agreed to no such thing. WH: John Kelly Wasn’t Cringing at Trump, He Was Grumpy About BreakfastThe White House Chief of Staff is not very skilled at hiding his displeasure. Trump at NATO Summit: Germany Is ‘Captive to Russia’The president kicked off the summit by deriding America’s European allies as “delinquent,” and berating Germany for relying on Russian fuel sources. 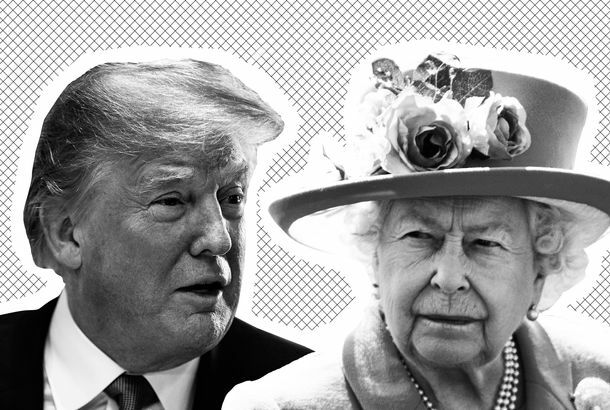 Queen Elizabeth Will Meet With Trump at the Royal Wedding VenueTurning a blessed location into a deeply cursed one. Trump Suspends ‘Provocative’ War Games With South KoreaAt his summit with Kim Jong-un in Singapore, Trump announced that the U.S. will suspend such military exercises, as talks proceed. Trump Says He’ll Know Outcome of North Korea Summit After One MinuteNorth Korea’s Supreme Leader will be no match for President Trump’s supreme confidence. Trump’s America Isn’t Going to the G7 to Make Friends (or Keep Them)Diplomacy between the U.S. and its Western allies is devolving into a carefully choreographed reality-show feud. U.S. Scraps Military Exercise in Order to Appease North KoreaFor decades, Pyongyang has been asking for a meeting with the U.S. president. Now, Kim is winning concessions by threatening to stand up to Trump. Eisenberg’s New Owner Says His Goal Is to Change NothingHe even wants you to know he likes egg creams. Europe Wants to Save the Iran Deal – But That Might Be ImpossibleThe EU is sick of being pushed around by Trump. But it’s not clear that it has the resources to defy America’s will. 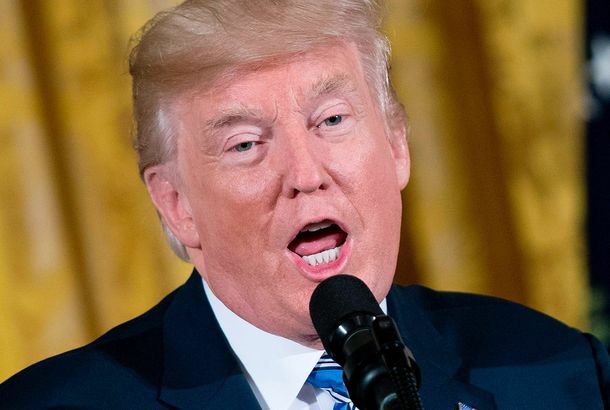 Trump to Announce Decision on Iran Deal TuesdayThe president teased his announcement about the fate of the nuclear agreement as though it were a reality-show finale. Trump May Not Understand What North Korea Has Committed ToOr he doesn’t understand what “denuclearization” means, or how diplomacy works, or all of the above. Trump Believes ‘He Alone’ Can End the Korean War — and He Might Be RightTrump’s indifference to detail and skepticism about U.S. security guarantees might lead him to make concessions that other presidents wouldn’t. With Pompeo-Kim Jong-un Meeting, Trump Underscores State Department IrrelevanceThe CIA director’s deep involvement in talks with the North Korean leader shows Trump has little regard for Senate or diplomatic procedure. Russia Expels U.S. Diplomats, Asks to See Poisoned Spy’s DaughterPutin is outraged that anyone would accuse Russia, of all countries, of attacking an ex-Russian spy with a nerve agent that is made only in Russia. Trump Threatens to Pull Out of ‘Great’ Trade Deal With South KoreaTrump says he may not abide by the trade deal he struck just days ago — until Seoul convinces Pyongyang that it can trust him to abide by deals. 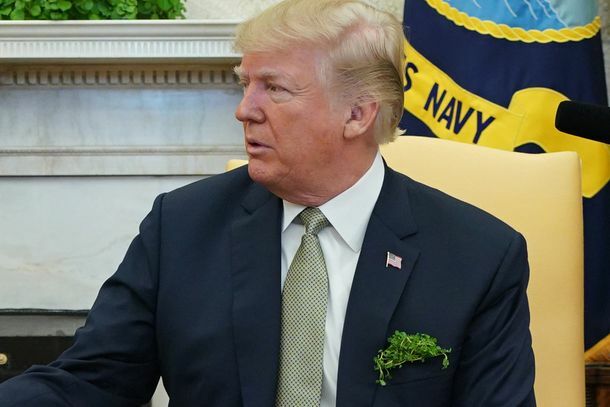 Here’s Why Trump Had a Bunch of Leafy Greens in His PocketYes, it was intentional. North Korea Is Ready to Discuss Forfeiting Nukes, South SaysThe U.S. said it wouldn’t negotiate with Pyongyang unless denuclearization was on the table. Now it is. North and South Korea Agree to March Under One Flag at 2018 OlympicsThe two countries have a history of coming together over sports. Bannon Speaks Out for the Forgotten People of the Saudi Royal FamilyThe right-wing populist advocates for the Saudi blockade of Qatar — while a company owned by his rich patron collects checks from the UAE government. Trump Continues to Tease a War With North KoreaThe president clearly wants to keep everyone guessing, but what if Pyongyang guesses wrong? Trump Administration Trying Direct Diplomacy With North Korea to Defuse CrisisIt’s already not going very well. 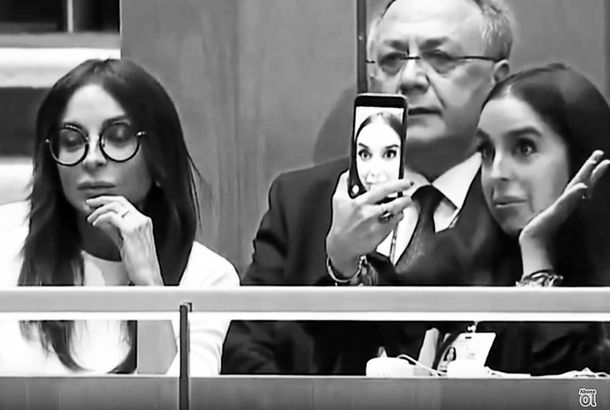 Azerbaijani President’s Daughter Takes Selfies During Speech About MassacreLeyla Aliyeva’s father, Ilham Aliyev — widely considered an authoritarian ruler — was addressing the U.N. General Assembly at the time. 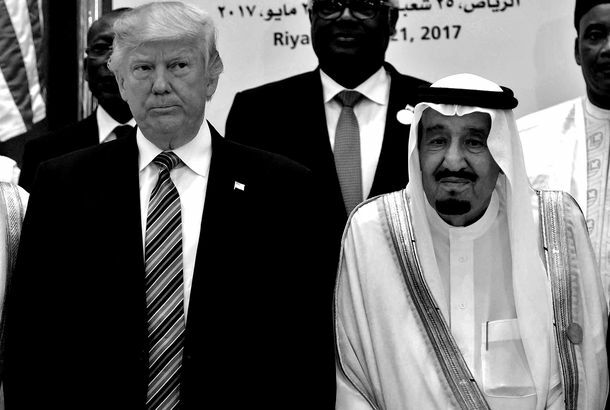 All the Extravagant Gifts Trump Received in Saudi ArabiaIncluding 13 robes, to be exact. Trump White House Says U.S. Will Join Climate Talks, Despite Leaving Paris DealThe administration reiterated its commitment to exiting the Paris deal on Friday — unless the agreement’s terms become “more favorable” to the U.S.
Jury Finds Ex-U.S. 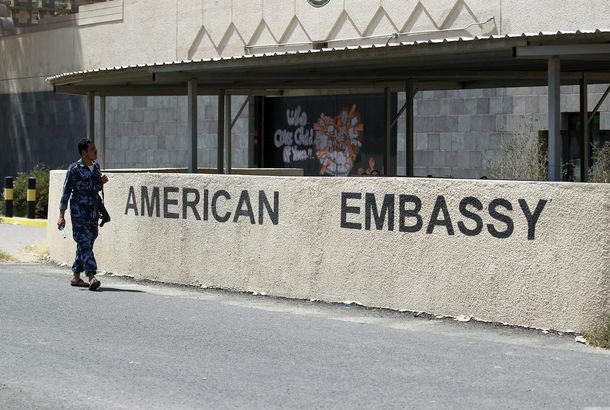 Diplomat Liable for Sexually Enslaving a Second HousekeeperThe envoy and her husband were also found liable for similar allegations five years ago. 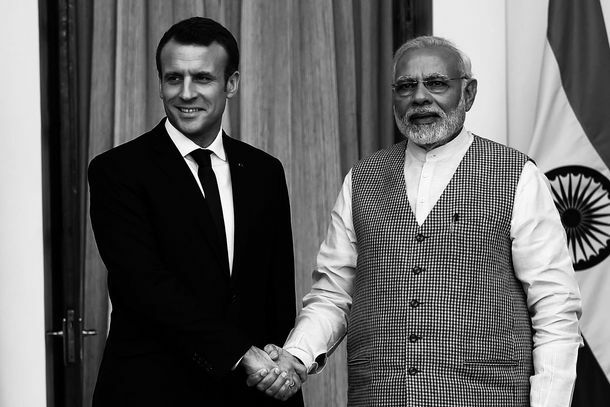 Trump: French President Macron ‘Loves Holding My Hand’Trump seemed into it. Trump May Lift Sanctions on Russia to ‘Give Collaboration’ a ‘Chance’Sebastian Gorka says the White House may give back Russian diplomatic compounds that the U.S. seized to punish the Kremlin’s election interference. Trump Brought Up Russian Meddling at Top of Putin Meeting, Says TillersonAt a meeting than ran 90 minutes longer than expected, Trump and Putin discussed Russian interference in U.S. elections, the secretary of State says. Secretary of State Gives Up on Diplomacy, Berates White HouseTillerson is tired of the White House blocking his hires and letting the president’s son-in-law usurp his authority. And he’s done holding his tongue.